WorldMark Bass Lake timeshare resale options give timeshare owners one of the best getaway options in California. 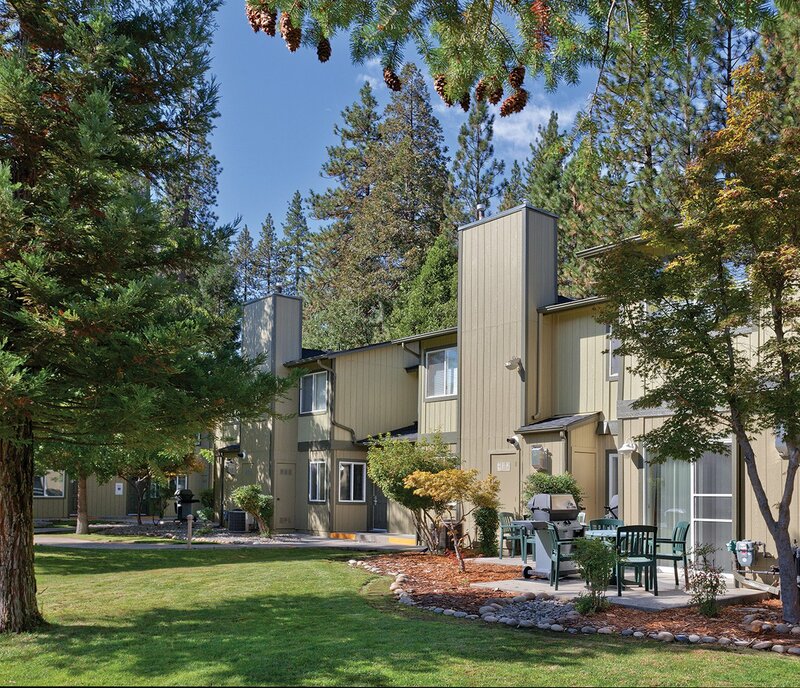 With a great location deep in the heart of the Sierras, close to Yosemite, WorldMark Bass Lake will make you forget about all the everyday cares and stresses of life. WorldMark gives you access to a beautiful lake where you can relax and enjoy the sights, as well as some the majestic giant Sequoia trees. Bass Lake enjoys a popular reputation for its rugged, beautiful wilderness areas that attract visitors from around the world. There are miles of scenic hiking trails where you can see some of the region's most impressive cliffs and beautiful waterfalls. With WorldMark Bass Lake resales available, you can take advantage of fun activities by day while enjoying the placid lakeside setting at night. Some of the nice things that await during your stay include on-call massage services, a recreational center with basketball court, and access to fun arcade games. WorldMark Bass Lake timeshares for sale ensure that every member has the relaxing experience they're looking for when they go on a vacation. When you decide it's time to buy a WorldMark Bass Lake timeshare, one of the features that you will enjoy is access to a friendly, professional front desk staff that will help you with anything you need. Head out to the basketball court for a quick pick-up game. Those who stay during the summer months will enjoy leisurely swims at the pool. With an on-call masseuse, you can wind down after a busy day or hiking or other activities. If you're ready for a quiet night in, take advantage of the video rental service. During the summer, visit Bass Lake or if you're staying during the winter, take advantage of cross-country skiing trails that span 350 miles. Great dining opportunities are nearby, including fine dining options available at local casinos. WorldMark Bass Lake timeshare deals are a great value because of the many amenities available. All of the rooms are modern and attractive. Basic features include cable TV with DVD player and stereo with CD player, washer and dryer, and a gas fireplace. High-speed Internet is available at the resort, along with access to a shared computer. There is also a playground that provides a convenient place for kids to play. Everything you need to enjoy a nice getaway is here for the taking. The purchase of a WorldMark Bass Lake fractional ownership provides membership in this points-based timeshare club. The good thing about the purchase of a timeshare is that it comes with ownership rights. Selling, transferring or willing the property is possible.